MPF can control I2C devices on Linux using the Python smbus2_asyncio extension. Some boards such as the Raspberry Pi have native I2C buses. Figure out which bus to use and make sure MPF has sufficient permissions to use it (Alternatively, you can also controll the I2C on the RPi remotely using the RPi platform). 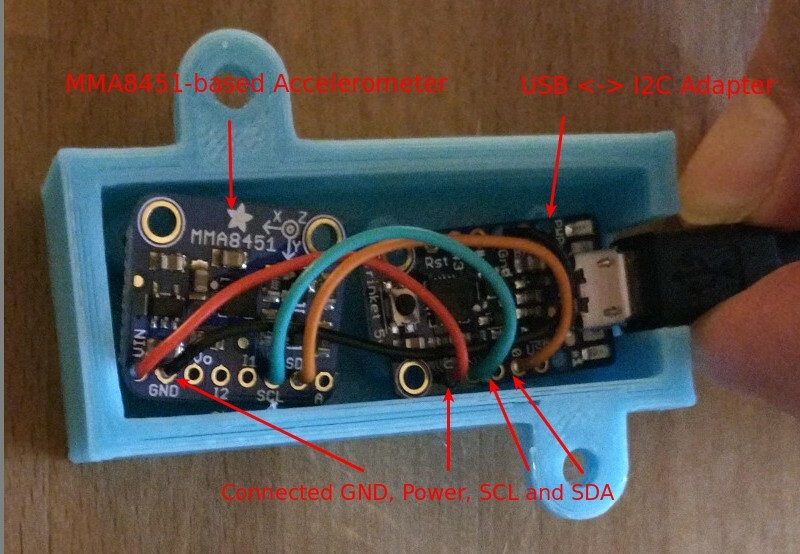 You can build your own USB-I2C adapter. Hardware can be bought ready-made for less than 10 bucks. Atiny85 based boards can be bought at Adafruit as Trinket (and elsewhere just google it). Connect the hardware to the bus. This will be at least SDA, SCL and ground. Usually, you have to power your device somehow and in a lot of cases this power can be provided from the controller. Next you need to configure I2C in MPF to use the smbus2 platform. By default, all types of devices are assumed to be using the same platform that you have set in the hardware: of your machine config file. So if your platform is set to fast, MPF assumes your I2C devices are connected to a FAST controller, and if your platform is set to p3_roc, MPF assumes your I2C devices are connected to the P3-Roc board. See the Mixing-and-Matching hardware platforms guide for more information about setting device-specific default platforms versus overriding the platform for individual devices. When using I2C addresses in I2C devices smbus2 will interpret those as bus-address. If you only provide an address it will use bus 0. On Linux bus 0 will ususally be /dev/i2c-0, 1 will be /dev/i2c-1 and so on. If you have more than one i2c device connected to your PC via USB you can assign a name to your ports based on the USB port they are connected to. First identify the port of your I2C hardware. Usually it should be /dev/i2c0 or /dev/i2c1. After a reboot you should get a /dev/i2c-front device if you connect an i2c device to that specific USB port. You can use that port in your config.